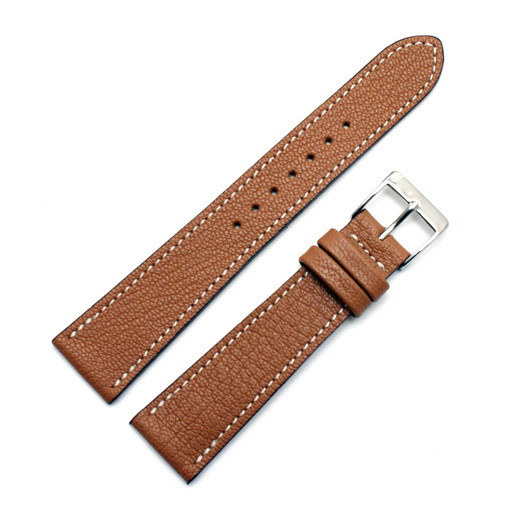 Finest Quality, hand made in Germany using a fifty step process and with a keen attention to detail, Fluco's Brown Montana Zlege watch strap is made from goat skin leather with rice coloured detail stitching and a cut edge. It is a thin strap, suitable for larger classic or dress watches. Goat skin is more durable than cowhide because it is naturally water resistant. 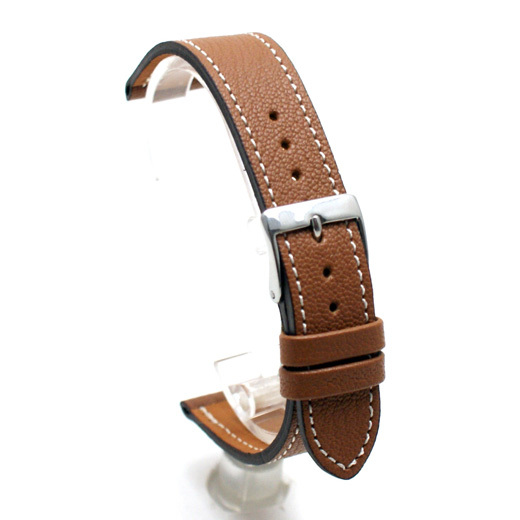 It is also suppler and softer because of the presence of lanolin in the leather. 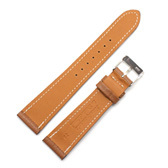 Regular length: buckle section (strap end to spring bar): 75mm; holed section (spring bars to strap end): 120mm.